⌐호치민 아동병원은 베트남 호치민시에 있는 1000병상 규모의 병원으로서 2011년 3월 7일 국제현상설계경기에서 당선된 어린이 전문병원으로서 어린이 위한 고유한 이미지와 공간감을 형성하는데 주력하였다. 어린이는 단순히 작은 어른이 아니기 때문에, 어른의 공간과는 달라야 한다. 어린이 성장과 발달 특성을 고려하고, 병원이라는 낯선 환경에 쉽게 적응할 수 있도록 창의적이고 따듯한 이미지여야 한다. 따라서 어린이들의 상상력과 감성까지 어루만져 주는 “ 꿈꾸는 어린이병원 ”, 자연과 햇살이 가득해서 뛰어놀 수 있는 “ 푸르른 어린이병원 ”, 아이들과 보호자에게 최고의 치료환경을 제공하는 “ 건강한 어린이병원 ”, 자연힐링환경조성과 roof garden, courtyard 등을 갖춘 “ 친환경 어린이병원 ”, 이라는 네가지 주제로 건물을 계획하였다. 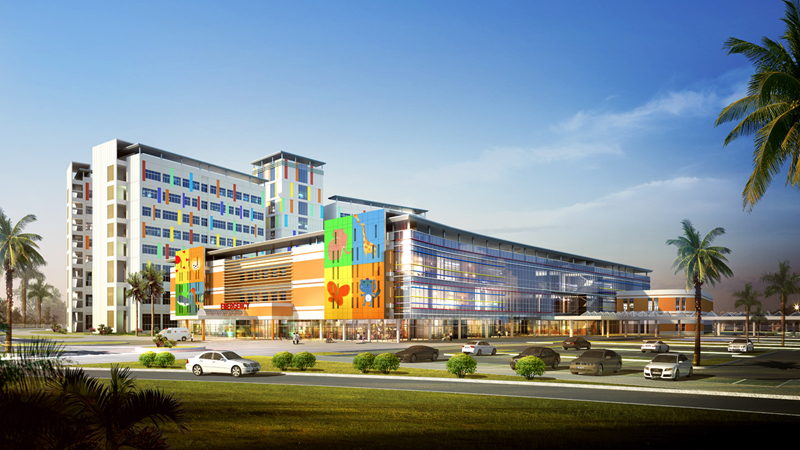 ⌐Ho Chi Minh City Children's Hospital were focused images form a unique sense of space for children and a children's hospital, elected at the International Competition Match day 3 July 2011 as a 1000-bed hospital in Ho Chi Minh City, Vietnam size. Because children are not simply small adults are, and must be different from the adult area. Consider a child's growth and development characteristics, must be creative and warm image so that you can easily adapt to the unfamiliar environment of a hospital. Thus, children of soothe to the imagination and sensibility "Children dream of the hospital," nature and that light can play to jump up full of "lush Children's Hospital", "Healthy Children's Hospital" to provide children and their caregivers the best healing environment, natural healing with the environment and the roof garden, courtyard, etc. 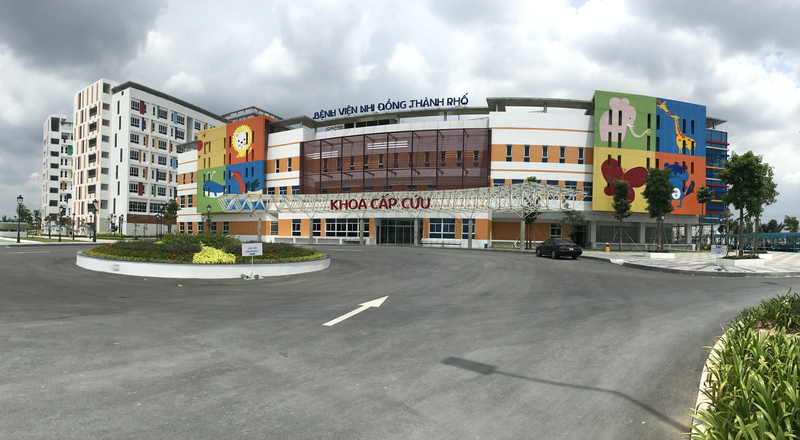 "eco children's hospital", the building was planned with four kinds of topics.